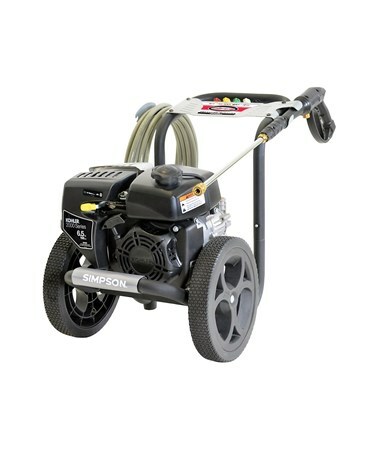 The Simpson Megashot Premium Residential Power Washer Series is designed for portability, mobility, and maximum performance at an affordable price. 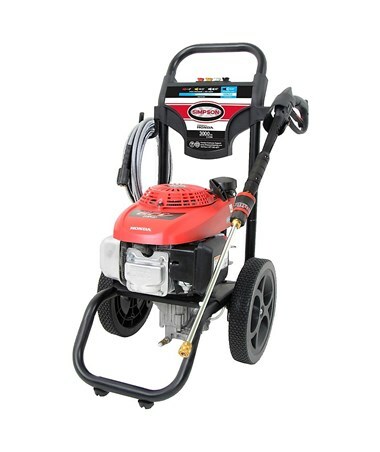 It is great for cleaning decks, patios, outdoor furniture, automobiles, driveways and home siding. 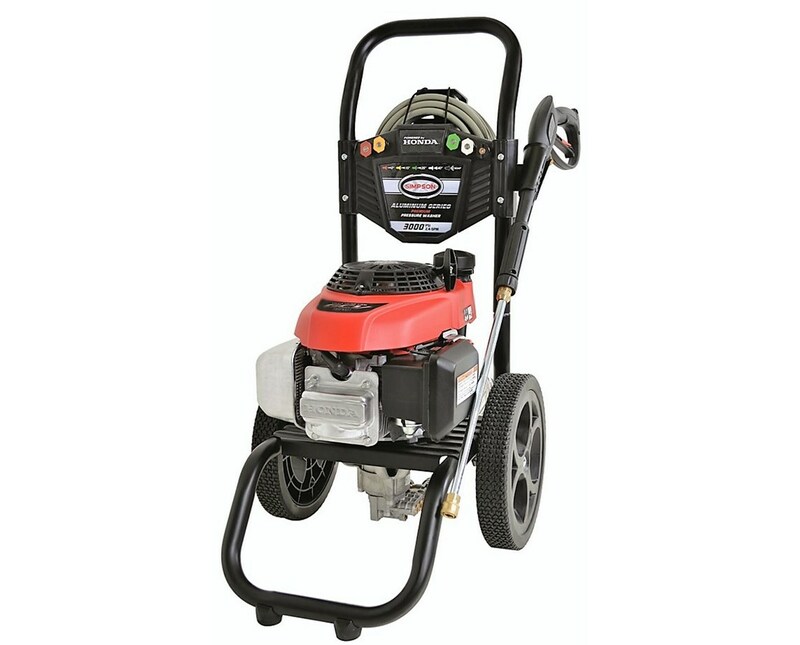 The Simpson Megashot pressure washer is equipped with an easy-to-start powerful engine that is built with high-quality components and designed for optimum performance in the harshest environments. 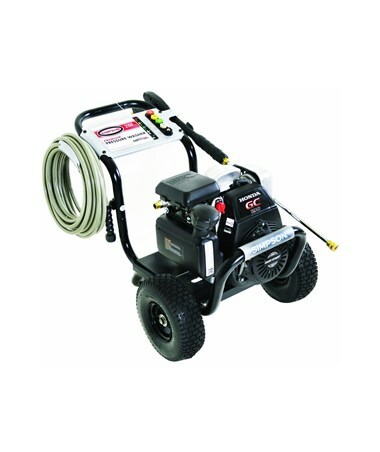 Featuring an axial camp pump from OEM Technologies, the Simpson Megashot Premium power washer offers optimal efficiency. It has a 25-foot high-pressure hose that is abrasion resistant and provides flexibility. 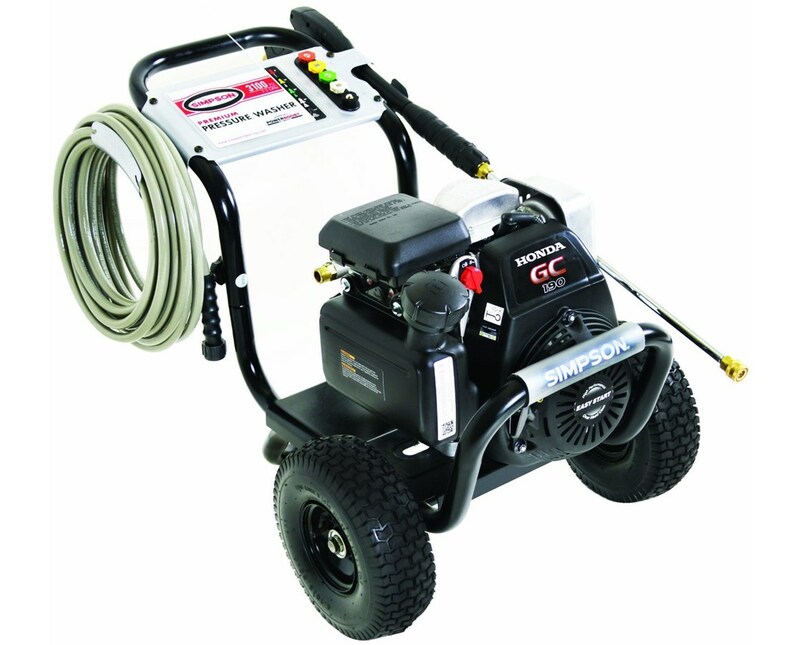 This pressure washer also comes with different nozzles to tackle any applications. The Simpson Megashot power washer has a convenient on-board accessory storage for spray gun/wand, high-pressure hose, and nozzles. 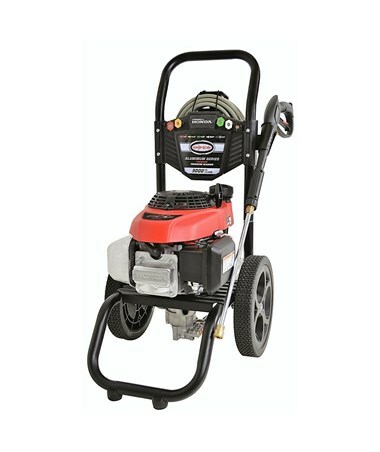 Protecting the engine, it is framed with welded steel that is ideal for rugged terrain. 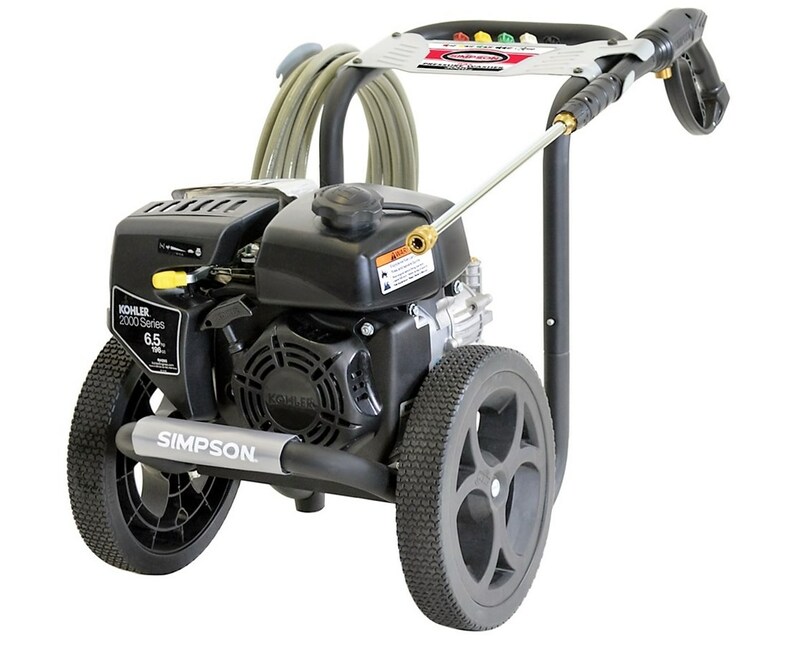 This Simpson pressure washer also comes with a professional spray gun with safety lock-out. 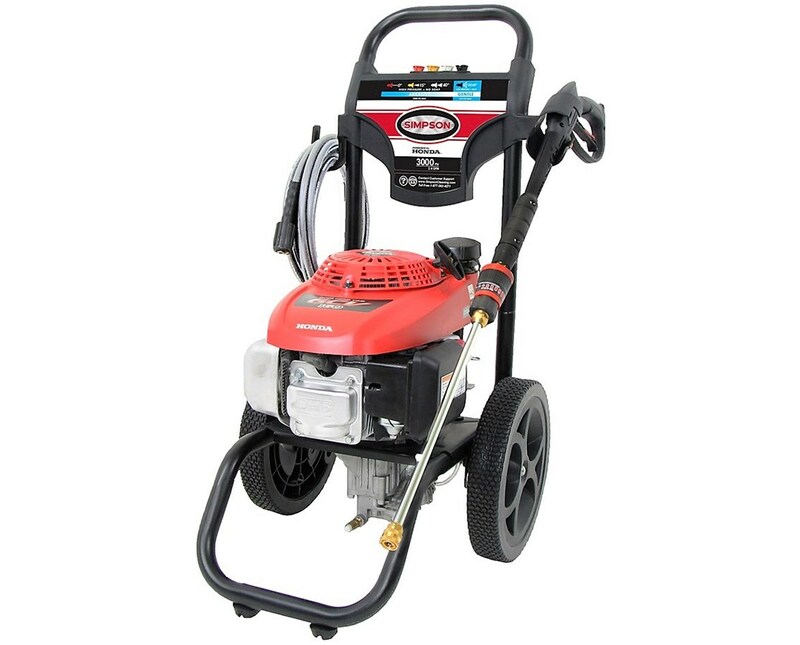 The Simpson Megashot Premium Residential Power Washer Series offers four different engines and cleaning pressures. The engines have different specifications to cater every need, while the choice of PSI ensures effective dirt cleaning on a variety of demanding tasks. Select your preference from the drop-down menu above. The Honda GCV160 is powered by an air-cooled, four-stroke Overhead Camshaft (OHC) engine. It runs with a displacement of 9.8 cubic inches (160 cm3) and a net power output of 4.4 horsepower at 3,600 revolutions per minute. GCV160 is a vertical-shaft engine. The Honda GCV190 Idle Down is powered by an air-cooled, four-stroke Overhead Camshaft (OHC) engine. The GCV190 is also a vertical-shaft engine which runs with a higher displacement of 11.4 cubic inches (187 cm3) and a higher net power output of 5.1 horsepower at 3,600 revolutions per minute than the GCV160. It also features Idle Down Technology that saves fuel, reduces noise, and provides a longer engine life. The Kohler RH265 uses a four-cycle, Overhead Valve (OHV) Kohler RH265 engine which is compact and durable. It has a displacement of 12 cubic inches (196cc) and a net power output of 6.3 horsepower at 3,600 revolutions per minute. The Honda GC190 is also powered by an air-cooled, four-stroke Overhead Camshaft (OHC) engine. The Honda GC190 has the same displacement of 11.4 cubic inches (187 cm3) as the GCV190. But it has a higher net power output of 5.2 horsepower at 3,600 revolutions per minute. Unlike the other two Honda engines, the GC190 is a horizontal-shaft engine. Length 25 ft./ 7.6 m.